Professional and excellent treatment. The staff were polite and experienced. The most gracious office I have ever experienced.And I drive 2 hours to see this doctor. Professional and excellent treatment. The staff were polite and experienced. The most gracious office I have ever experienced. And I drive 2 hours to see this doctor. The visit was efficient and the staff was incredibly friendly. I waited for maybe like 5 minutes after giving them myinsurance card and waited in the actual appointment room for like 1 minute. Dr. Soneru was awesome. He listened to my issue and asked a few questions. From there he helped solve my issue and answered a few questions for me. He was very attentive when he was actually looking at my ears and explained to me what was going on. He also checked in to make sure I was doing ok with everything which I really appreciated. I highly recommend this office and physician. A great experience overall. The visit was efficient and the staff was incredibly friendly. I waited for maybe like 5 minutes after giving them my insurance card and waited in the actual appointment room forlike 1 minute. Dr. Soneru was awesome. He listened to my issue and asked a few questions. From there he helped solve my issue and answered a few questions for me. He was very attentive when he was actually looking at my ears and explained to me what was going on. He also checked in to make sure I was doing ok with everything which I really appreciated. I highly recommend this office and physician. A great experience overall. Dr. Soneru is a board certified Otolaryngologist and fellowship trained Rhinologist who is committed to providing compassionate and research-driven care with the goal of optimizing a patient’s quality of life. He sees patients with all ear, nose, and throat disorders and has a special clinical interest in disorders of the nose, sinuses, and skull base. 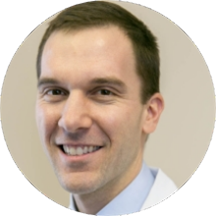 Dr. Christian Soneru grew up in the suburbs of Chicago. He completed his undergraduate work at Cornell University in Ithaca, New York where he graduated with honors while studying Neurobiology and Behavior. He went on to earn his M.D. from Columbia University College of Physician and Surgeons. From there, he completed residency in Otolaryngology – Head and Neck Surgery at the University of Chicago where he was trained in all aspects of the field. After residency, Dr. Soneru worked as a general Otolaryngologist for four years in the Chicago area as well as at Mt. Auburn Hospital. During this time, he became more interested in disorders of the sinuses and elected to complete a one-year fellowship in Rhinology and Skull Base Surgery at Weill Cornell Medical College and Columbia University Medical Center in New York, which he completed in 2018. He has published several papers and book chapters on advanced topics in Rhinology. Great provider. Very well thorough, understanding, and clear. Would highly recommend. Worked very well. Dr Soneru was capable, competent and compassionate! Great visit! Very helpful and kind. Great visit. Dr. Soneru made effective use of our time, was attentive, and friendly. Patient, friendly, excellent bedside manner. Discussed appropriate options and considered patient preference. Great provider and office staff. On time, professional, and clear. Would definitely recommend. Very knowledgable! Took the time to explain the overall anatomy of sinuses, possible causes of my symptoms and what my options are for treatment. Great appointment. Dr. Soneru was through and informative. First visit with him. Very professional, excellent bedside manner and extremely patient As I was nervous about a very small procedure that needed to be done. Dr. Soneru is great! He took his time with me and really made me feel comfortable. Everyone was so nice. Very professional yet very kind. Dr. Soneru is very knowledgable and helped me on the first visit. Thorough appointment. Quick but not rushed. Perfect. The Medical Assistant was in charge of EVERYTHING! 5 STAR !! Doc seemed very knowledgeable and above average with 'BEDSIDE" Manner!! Very approachable and extremely knowledgeable. He is very kind. Great bedside manner. Very thorough. Very nice and knowleagable, was in and out of the visit in no time at all. Dr. Soneru had a nice bedside manner and took time to answer my questions and clarify research I had done on my condition. He clearly laid out all of my options and was supportive regardless of what decision I made. Very knowledgeable, and caring. He took time to ask questions and explain my condition. No wait time which is always an added bonus! We got in very quickly and the doctor spent a good amount of time asking questions and understanding the situation. He gave us a few options and didn't rush us on options - surgery or meds. Really listens and spends time with you. Never feel rushed. Dr. Soneru is always a pleasure to see. He answers all my questions and really takes the time to make me feel like my worries are important. Wonderful bedside manor and he answered all of my questions In thorough detail. He is extremely knowledgeable. I was pleased with Dr. Soneru, I would go back again and send a family member there. Excellent doctor who takes his time to listen to you. Explains everything very well and has a great bedside manner. I would highly recommend Dr. Soneru based on his professional and pleasant demeanor. He asked pertinent questions, listened carefully to my answers, was very receptive to questions I had, and thoroughly explained the procedure for the specific exam I required. Excellent doctor! Extremely professional and an excellent bedside manner. I was very impressed. Couldn't have been better. Highly recommend. Dr. Soneru was very calm in his demeanor, thorough, and competent. I very much enjoyed my experience and felt I was in very good hands. There was absolutely no wait time. The medical assistant was very friendly and made me feel welcome. The doctor also made me feel very comfortable despite having some nerves. He asked me what my goals were and walked me through the process to get me there. Would absolutely recommend!! He didn't help my problem and seemed to be an alarmist...all negative stating not to take antibiotics but not helping the problem. Very nice and listened to all my concerns. I expected lots of medical speak/jargon, expected to be talked down too but was instead treated well, spoken to as if I had been there lot's of times (my first time) and was actually laughing it up with the woman whoconducted my hearing test. Both she and Dr. Soneru gave me much needed information and made me feel very comfortable and not isolated. Very knowledgeable and understanding doctor. I was totally impressed with everyone working there. Dr. Soneru is very nice and took the time to listen to my problem and concerns. The best part was the procedure he did was "no pain" and I truly appreciated that! I would highly recommend Dr. Soneru to everyone. Awesome !!! All the way around . As a professional voice user, it was great to be seen so soon and for the doctor to really take time with me. Usually my appointments with other doctors are rushed through. Thank you and I highly recommend Dr. Soneru. Dr. Soneru was excellent! He was very kind and thorough. He diagnosed and solved my problem quickly! I was in and out in 15 minutes! Would definitely reccommend Dr. Soneru!